Tapestry crochet is a color-changing technique that allows you to work a single row of stitches in more than one color. Using this technique lets you create intricate patterning and beautiful projects. You can use various stitches to create these projects, but no matter which one you use, some universal tips apply. Using the current color, work your crochet stitches over and around the non working color. This will prevent horizontal strands of yarn behind the work known as floats, which could catch or snag. Tapestry crochet is easiest when worked in the round or in right-side-only rows. Right-side-only rows require you to join both colors of yarn at the beginning of each row and cut and bind off at the end of each row. This creates a lot of fringe, or a lot of ends to weave in. It is easiest to stick to two colors of yarn per row or round. You can use more colors, but doing so will require you to stitch over multiple nonworking colors, which will create a very dense fabric. If you decide not to work over the colors, you will have to carry multiple non-working colors behind the work, creating an excessive amount of floats. Most colorwork is communicated via a color chart. 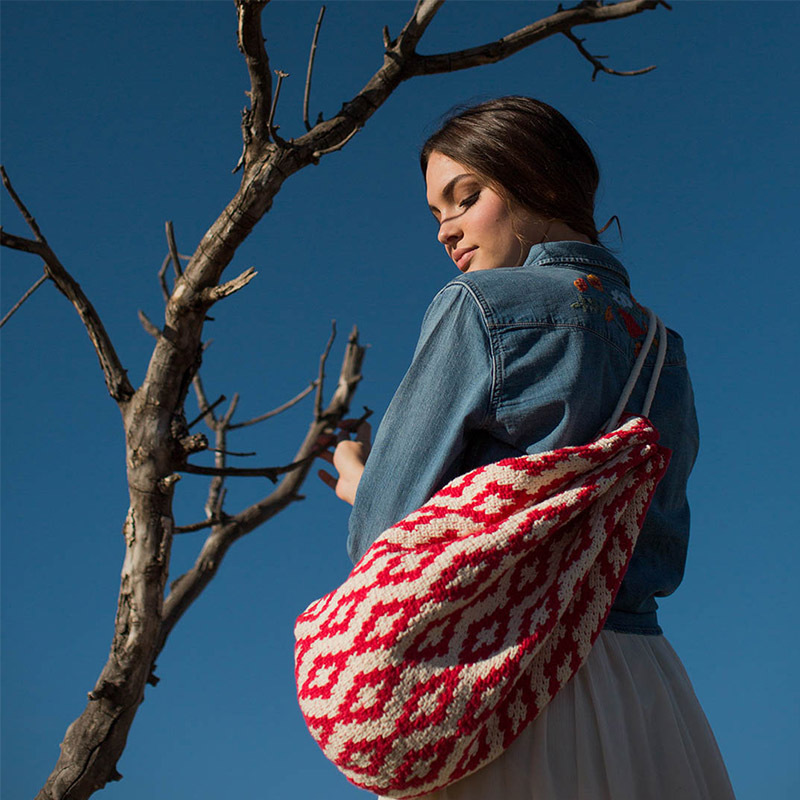 You will want to work the crochet stitch that corresponds best with the appearance of the chart. If the chart is made with squares, you will most likely want to use some form of the single crochet stitch. If the blocks of color are taller rectangles, you may want to work a double crochet stitch. The pattern should describe what type of stitch to use, or you can experiment with different stitches. Switching colors is the trickiest part of tapestry crochet. You will switch at the same point no matter which stitch you are working. In that last stitch before switching colors, work the stitch until the final yarnover. Place your first color behind the work, yarn over with the new color, and pull through with the new color. Then continue working in the new color, crocheting over the old color according to the chart. 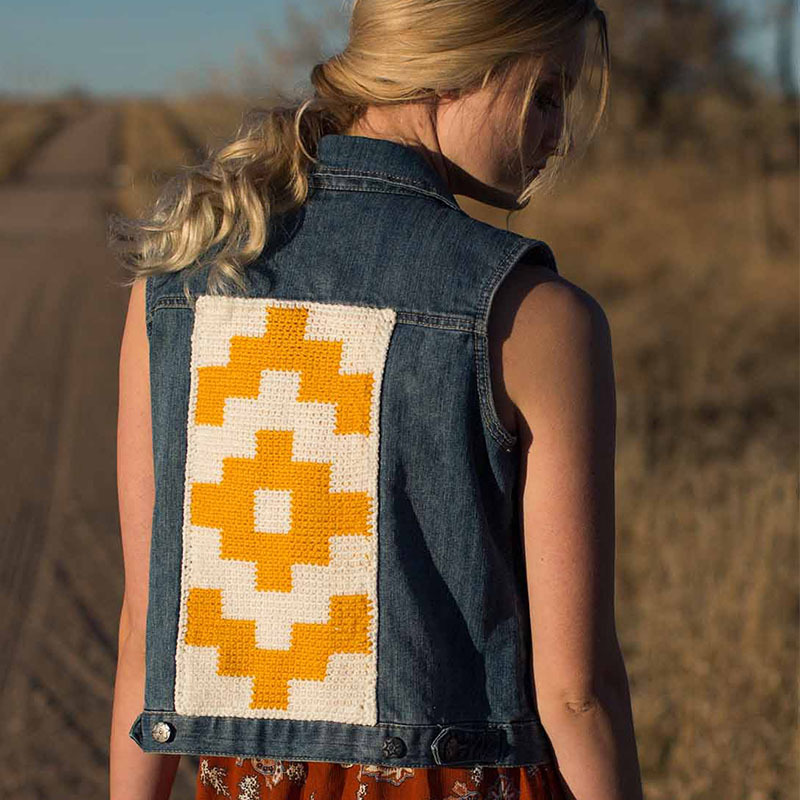 This article originally appeared in Interweave Crochet Spring 2018. 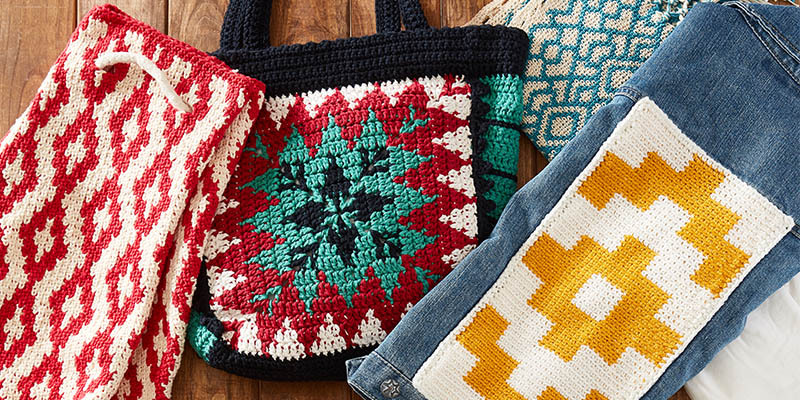 Grab the issue for several fantastic tapestry crochet projects. For more tapestry crochet check out our secrets to color changing or this step-by-step on changing colors every stitch.